WorldSkills Team Canada 2019 Prospects Are Announced! OTTAWA, Ontario, August 27, 2018 – Skills/Compétences Canada(SCC), a not-for-profit organization that actively promotes careers in skilled trades and technologies, is proud to officially announce the WorldSkills Team Canada 2019 Prospects. These Prospects will participate in the next stage of the WorldSkills Team Canada Selection Process to qualify to be a part of WorldSkills Team Canada 2019 and compete at the 45th WorldSkills Competition, in Kazan, Russia, in August 2019. Following the 2018 Skills Canada National Competition (SCNC) held in Edmonton last June, the two highest ranking, age eligible participants in identified Skill Areas were selected to participate in the next stage of the WorldSkills Team Canada Selection Process. The WorldSkills Team Canada 2019 Prospects will meet for the first time in Ottawa, in September 2018, where they will begin preparations for the WorldSkills Team Canada Selection Event to be held in May 2019. These competitors will be participating in various training activities including employability skills assessments and a mental preparation program between September 2018 and May 2019. WorldSkills Team Canada 2019 will be announced at the conclusion of SCNC Halifax 2019. “We are very proud of what each competitor has already accomplished and we want to see them excel at the WorldSkills Competition to earn a place on the podium at this prestigious international event. These skilled trade and technology champions represent our country’s future workforce in the global economy,” said Shaun Thorson, Chief Executive Officer, Skills/Compétences Canada. Following the WorldSkills Team Canada 2019 Selection Event, the official members of WorldSkills Team Canada 2019 will be announced. WorldSkills Team Canada 2019 will participate at WorldSkills Kazan 2019 against young competitors from around the globe, with the goal of earning the title of world champion in their respective Skill Area. These competitors represent the best of their peers and have earned a spot on their country’s team through their dedication and hard work. At the WorldSkills Competition, competitors will participate in simulated real work challenges, and will be judged against international quality standards. 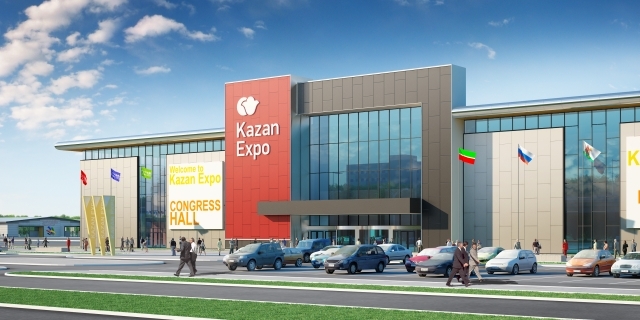 At WorldSkills Kazan 2019, more than 1,300 competitors from over 70 Member countries and regions will compete in over 50 Skill Areas representing six sectors. The four-day WorldSkills Competition is the biggest of its kind in the world and considered the pinnacle of excellence in skilled trades and technologies training. Throughout the year you can “Follow Their Journey” on the Skills Compétences Canada website. MEDIA CONTACT: Michèle Rogerson, micheler@skillscanada.com, T. 613-266-4771.